Don’t have a huge, fancy camper, but do have a hatchback? No problem—you just need a Swiss room box ($2,500). 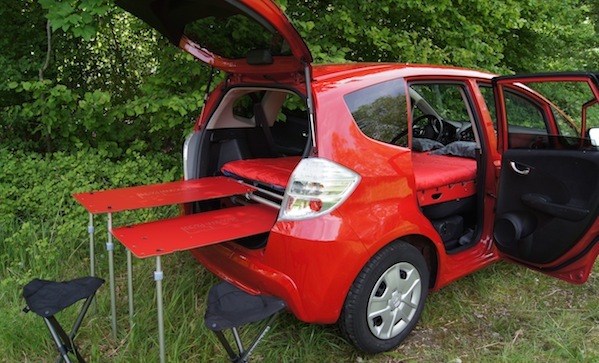 As the name suggests, it’s a box you keep in the back of your car, seats folded down. When you open the box up, you get two sleeping spots, along with a couple of surfaces for tables. Higher tech versions even have kitchen sinks and stovetops.